Are you Investing in Unexplored Multibagger Small Cap Stocks? Equity analysts at Saral Gyan publish authentic & unbiased research reports of unexplored multibagger micro & small cap companies. Many investors are absolutely fascinated about investing in stock market. But, in our opinion mere fascination is not enough. Investing wisely and with the right insights helps one to grow his savings. 2. 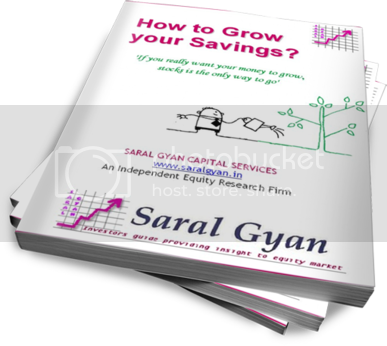 SARAL GYAN eBook How to Grow your Savings? On activation of your Hidden Gems subscription, you will receive 3 earlier recommended Hidden Gems research reports. You can take exposure in these stocks to earn decent returns on your investment in long term. These are fundamentally sound small cap companies which can give far superior returns on your investments compared to broader indices like Sensex, Mid Cap and Small Cap index. Investing in small caps can be risky but these companies have the potential to deliver exponential returns in long run, its always wise to have some exposure in micro/small cap stocks in model equity portfolio. 6 out of 21 Saral Gyan Hidden Gems in last 2 years have given more than 100% returns to our investors. Thats not All! Another 2 Hidden Gems are ready to cross 100% returns in couple of months to take the tally to 8. Average returns of Hidden Gems on 10th Sep'12 is +30% compared to negative returns of -13% of small cap index. Hidden Gems outperformed small cap index by whopping 43%. 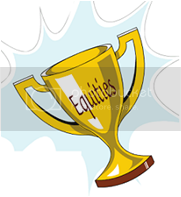 Add power in your Equity Portfolio by investing in Hidden Gems. 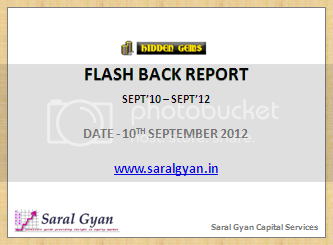 Flash Back report covers company's first quarter results, recent updates & development along with Saral Gyan equity analysts views on last 21 Hidden Gems stocks recommendation.